If you’re keen to make Barista-standard espresso at home then this pairing could offer you the perfect springboard. 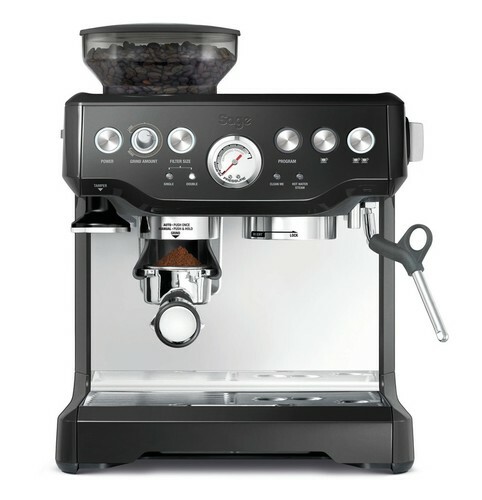 The Sage Barista Express™ Espresso Machine and Grinder, combined with £50 worth of Pact Coffee, will have you turning out coffees to impress the most seasoned of baristas. "In my view this is the best value espresso machine on the planet. I have used mine daily for over a year and both my wife and I love it - great espresso, perfect milk and the right level of control for me. I even bought one for my dad, though this was partly for my own benefit when I visit!" This Barista Express™ video from Sage highlights the machine’s special features. And when it comes to the coffee, what could be better than £50 worth of Pact to get you set up? We scour the world for hidden coffee gems and trade directly with farmers to give everyone a better deal. All Pact coffee - including our game-changing Espresso Blend - is sent out in letterbox-friendly packages within seven days of roasting, because that’s when coffee tastes best. The Barista Express™ is also available in silver.